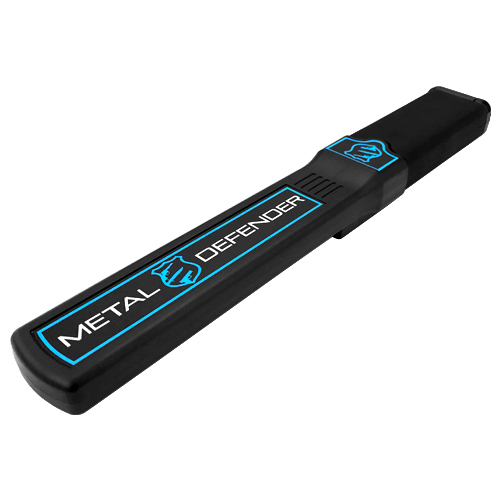 The MD-3000 hand wand by Metal Defender is a slim all-purpose hand wand that is light weight and sleek in design. 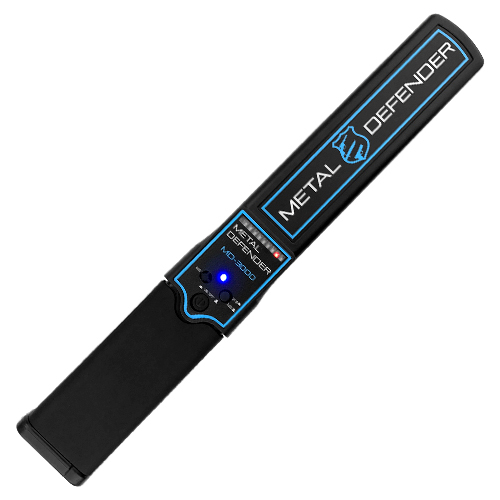 The MD-3000 metal detector hand wand allows users to use either vibration mode or audio mode and is capable of detecting all types of metal. 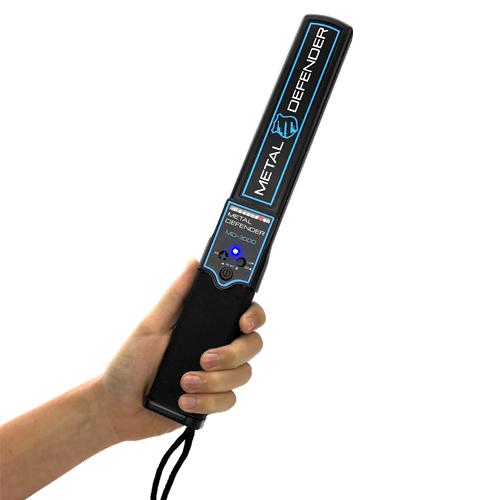 This hand wand is great for experienced users and new users as it has only two buttons, fast detection speed, and a very wide detection probe area. 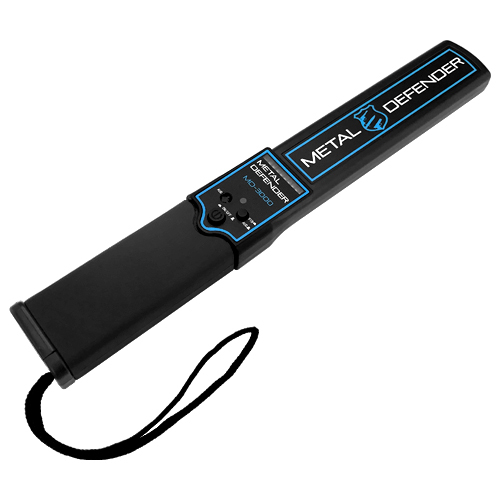 This handheld metal detector is designed to safeguard security-sensitive areas like schools, courtrooms, sports events, night club, etc. It is widely used for airports, railway stations, customs, stadiums, public security, loss prevention, & jewelry stores.